You want to sell a property but you do not know where to start? Are you looking for a real estate broker able to offer you a turnkey service and assist you in all stages of the real estate transaction? Look no further: I am the person for you! 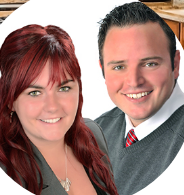 I will accompany you from the beginning to the end of your real estate transaction. I will first complete a personalized marketing plan and estimate the market value of your property, which will be highly visible because it will be displayed on more than 100 popular Internet sites around the world. Realtor (MLS / SIA) and Centris. I will take care of the coordination of the calls and the visits thus freeing you of this task which could take you a lot of time. You will also benefit from my judicious advice and my negotiation skills and of course, I will take care of all the technical and legal aspects of the promise to purchase and I will accompany you to the notary.